Environmentally friendly transport is on the rise despite economic repercussions to the oil and gas industry, writes Dr Graeme McLeay. THE 2018 AUSTRALIAN Petroleum Production and Exploration Association (APPEA) conference to discuss better ways to dig fossil fuels out of the Earth wrapped up in Adelaide this week and it’s a sure bet they did not discuss your health. A report by consulting firm Deloitte presented at APPEA reveals oil and gas executives see electric vehicles as a threat to their industry. They are right to be worried about their bottom line. 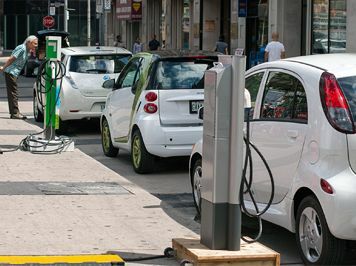 Dieter Helm, Professor of Energy Policy at the University of Oxford, Tony Seba from Stanford University and others, have warned of the coming electrification of all transport within little more than a decade. Deloitte warn this could see the oil price fall to US$30 a barrel and that liquefied natural gas (LNG) prices could also slump as a result. Electric vehicles are more efficient, cheaper to run, require less servicing and can be charged from renewable energy. Most importantly, for your health, they have zero tailpipe emissions. These include not just planet warming CO2, but noxious particulates, oxides of nitrogen and sulphur. Poor air quality is responsible for an estimated 3,000 premature deaths in Australia each year at a cost to the economy of $7.8 billion. Australia’s vehicle emission and fuel standards are near the bottom of the OECD, an unacceptable fact given the impacts on cardiovascular, respiratory and infant and child health. Deteriorating air quality is driving the development of electric cars. Most major car manufacturers are investing heavily in electric vehicles, as some nations look to ban the internal combustion engine by 2030-2040; the UK and France by 2040 and India by 2030. China last year announced aggressive new quotas for new energy vehicles (NEVs), meaning battery, hybrid and fuel cell vehicles. One Chinese car company, Great Wall Motors, has invested in Australian lithium mining, signalling strong confidence in lithium, which is used for electric vehicles and energy storage. Australia’s Government has shown little appetite for addressing either the air pollution question or climate change. Climate change was not mentioned in the recent Federal Budget, nor vehicle emissions, nor electric cars. Australia’s emissions have been rising since the abolishment of the carbon tax and transport emissions are largely responsible. The impacts of climate change are becoming increasingly apparent and Australia is vulnerable. A major report in the Lancet Medical Journal, authored by 26 institutions around the world, including universities, the World Health Organization, the World Bank and the World Meteorological Organisation, warns that the health of hundreds of millions of people around the world is already being damaged by climate change. The biggest “threat” to the oil and gas industry lies in the carbon budget: if the world is to stay within two degrees of global warming, a target looking more difficult every year, an estimated two thirds of known fossil fuel reserves will have to remain in the ground. The Governor of the Bank of England, Mark Carney, warned in 2015 of the risk to financial institutions and the insurance industry failing to take account of climate impacts. The oil industry does not have a good record of public disclosure. We know now that Chevron, ExxonMobil, Shell and other companies were aware of the climate risk decades ago but funded climate change-denying think tanks and junk science groups to create doubt in the public mind. There is, however, no doubt in the mind of Matt Canavan, the Federal Minister for Resources, who wants to get those hydrocarbons out of the ground and the sooner the better. The Government has released 21 new acreages across six offshore basins, including the Great Australian Bight. Deep sea drilling, kilometres down, is inherently risky and no more so than in the Bight, where 20 metre waves and storms are common. The capacity of any company to deal with a Gulf of Mexico type blowout, which in 2010 saw the largest oil spill disaster in U.S. history, is extremely limited in such a remote location. The results of a major oil spill were modelled by BP and the environmental, economic and social damage would be unlike anything Australia has seen. Canavan cited the support of two local councils, failing to mention the six councils which are opposed. The decision to drill is to be left up to the National Offshore Petroleum Safety and Environmental Management Authority (NOPSEMA), Australia's regulator for offshore petroleum facilities and activities. The matters protected include threatened species, ecological communities and migratory species. We can only hope for NOPSEMA to do its job and reject the drilling or for the oil price to fall, making these mad projects unviable. It is time for real environmental laws in Australia. Dr Graeme McLeay is an anaesthetist and member of Doctors for the Environment Australia.